It sounds more risque than it is, as many cocktails do, but what it IS is my new favourite made-up drink! 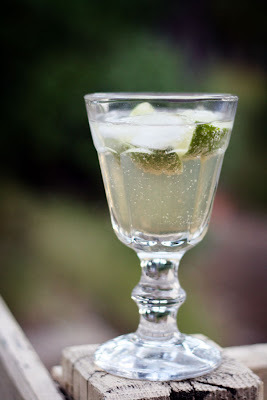 Wild Spearmint Cordial (hence the name), half a fresh lime, cut into wedges. A bit of ice. Top with soda water. Enjoy!